For years we have been manipulating people to follow, not safety, but safety rules. We’ve employed all of the tired old tricks of fear, guilt, accident stories, gory images, even those "daddy come home safe" letters. Those tricks don’t build leaders. They are all manipulations to get people to follow the rules. When you employ these types of manipulations, you're trying to guilt your people into following procedures and processes. Here’s the weakness with that idea: guilt doesn't last. It's not a long-term solution. It’s the very reason why a gut-wrenching video or tear-jerking story at a safety meeting may affect people in the moment at the meeting, but within a few days they’re right back to doing things the way they always did. Nothing changes in a lasting way. So, you have to repeat the guilt and fear, again and again, and up the severity each time to keep the guilt going. The problem is, fear, guilt and manipulation are easy. They don’t require any management or leadership skills. These are the tactics employed by those either afraid to reach out and get personal with their people, or those who are demonstrably not interested in learning new and effective ways of building their teams. But, what if instead of guilt and fear tactics, the front-line supervisor or crew lead simply cared? About each of their people. About helping them to deliver their very best performance. And to genuinely have heart-felt moments when they tell the individual members of their crews, "this work is so much easier with you here." What if safety meetings were just honest, caring conversations? Where team members congratulated other team members. Where the team actually looked forward to the safety meeting (yes ... it is possible). And of course, where the meeting organizer didn't disconnect himself from inspiring his people by turning his back and reading his whole safety meeting speech off the slides. What if safety people used their meetings like coaches of pro sports teams right before the big game? Do you think pro sports teams use their pre-game meetings to review the rules? Certainly not. The coach uses that last-minute opportunity to inspire the players to get their heads into the game. The coach helps motivation to run high and to rally the team around working together as a unit. Where each member of the team looks out for and protects each other. That, in a safety meeting, would be a far better approach for the front-line employees to want to be part of. They would be willing to move forward if the safety meetings inspired instead of de-motivated. Coaches must build on their people's motivation instead of manipulating their guilt. If you're not inspiring, you’re not asking your people to be part of something. You’re not asking them or leading them or inspiring them to join a movement of looking out for each other. You’re telling them to stop doing something. To stop making mistakes. To stop being unsafe. To stop taking shortcuts. And the more you tell them to stop doing things and the more you focus on enforcing rules, the more it feels like scolding. You can’t scold your people into safety and expect to make it stick. As a front-line employee, it is hard to be on the receiving end of manipulations and scolding. Scolding reduces motivation and effort. And the more you focus on getting people to follow rules above all else, the more you interfere with building a solid team. You’re not building a team – you’re undermining it. Inspiration is the antidote to manipulation. You can't say you care about your people's safety until you actually care about them. You can't build trust until you trust them. You can't get respect until you respect them. You will not get what you do not give. That’s just basic leadership. To make the team better, start with individuals. To improve your team's performance, you have to first improve the performance of each member of the team. Teams improve when the individual players do. You build teamwork and participation through inspiration. You inspire your people to want to help them motivate themselves. The job of a front-line supervisor or safety person isn't enforcing rules. Unless you want to have to continually chase your people into compliance for the rest of your days (trust me, that makes the job a lot less fun and rewarding for you and you will lose your own motivation). If you want lasting improvement with your crews and better cohesiveness in teamwork around safety, you must start inspiring improvement. Positively. Learn more strategies to create a high-participation safety culture. 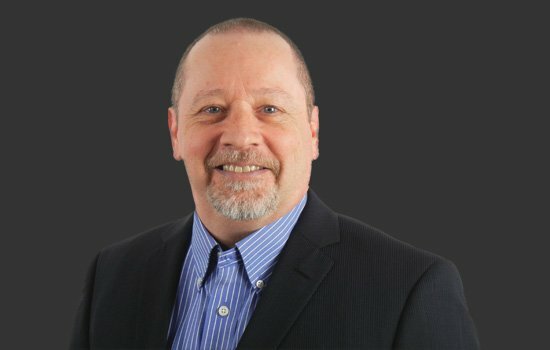 Put Kevin Burns' expertise to work in your organization. Whether it's for a one-day safety event, or Kevin's 90-Day Safety Accelerator and High-Participation Safety Culture program. There is a program that can work for you, your front-line crews, your management team, your safety committee and your supervisors. 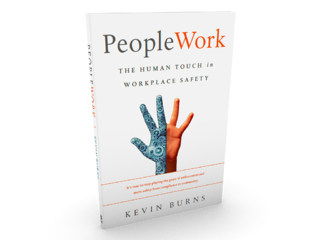 Kevin Burns is a management consultant, facilitator and author of PeopleWork: The Human Touch in Workplace Safety. Kevin's M4 Method™ will guide you to engage your people better in safety. The best place to work is always the safest place to work.